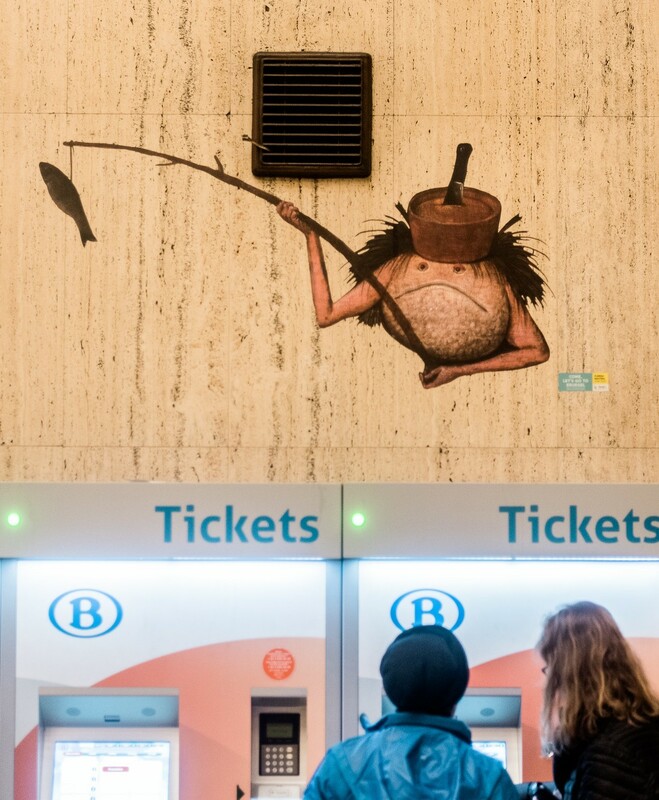 With the opening of Beyond Bruegel, the cornerstone event of the year dedicated to the master of the Flemish Renaissance, Brussels’ Central Station has been redubbed ‘Bruegel Central’. “Even 450 years after his death, Bruegel speaks to the imagination,” said Flanders’ tourism minister, Ben Weyts. Pieter Bruegel the Elder died 450 years ago this year, after living at least the last half of his life in Antwerp and Brussels. Dozens of exhibitions, installations, walks, lectures and family activities are planned in honour of one of the most enduring painters the low countries has ever produced. Having embraced the first post-religious period of painting, Bruegel’s works were an invaluable influence on the Dutch Golden Age. While he was a pioneer in pastoral painting, he was also fond of the grotesque, with little monsters, demons and deformed beasts peppering his highly detailed works. Also in the station is a booth with seats, a table and a window that mimic the inside of a rail car. Sit down and glance out the window to see scenes from Bruegel’s paintings whip by. Beyond Bruegel, meanwhile, is an interactive exhibition that immerses visitors into Bruegel’s world – for better or worse. In the Paleis de la Dynastie, details from the master’s work are blown up to room-size, while a 360-degree projection lets you walk alongside Mad Meg or sail on a ship at the foot of the Tower of Babel. While Bruegel’s works are scattered all over the world, Beyond Bruegel lets you see them in digital form. 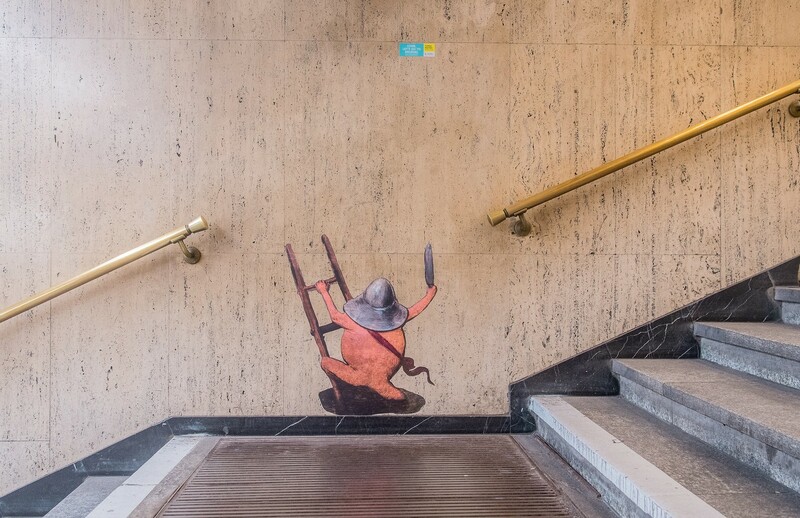 At the end, visitors find out where to see originals by Bruegel in Belgium – such as in the nearby Museums of Fine Arts. 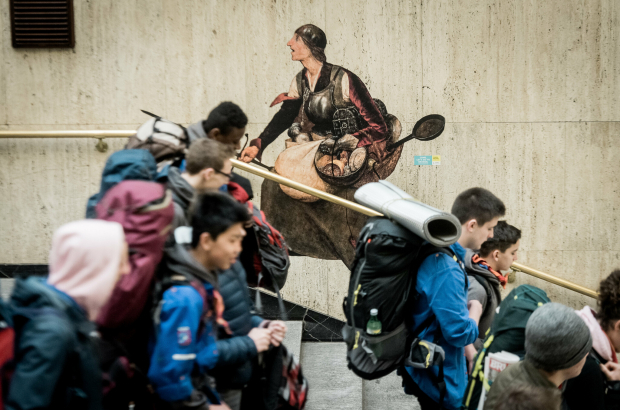 While Beyond Bruegel, and many other special events and activities, take place throughout the year, the characters at Central Station will, sadly, disappear after the Easter school holiday.